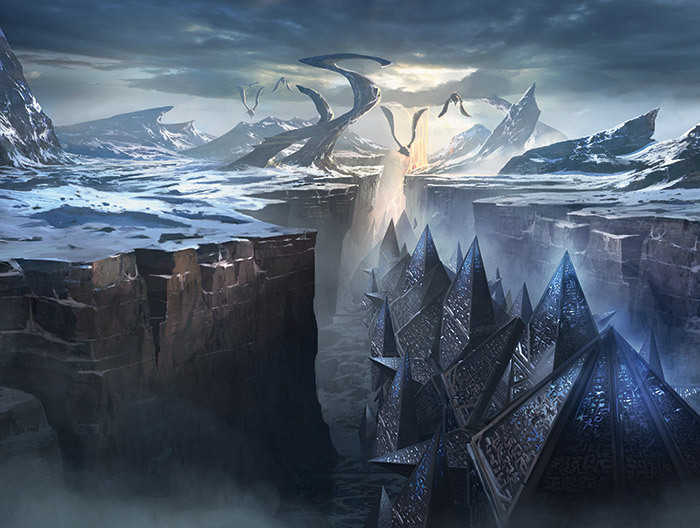 The world of Fate Reforged, at first glance, is familiar. It's still Tarkir. There are still Mardu Warriors and Abzan Spirits, Naga Shamans and Djinn Monks. But you can't help but feel like something is…different. 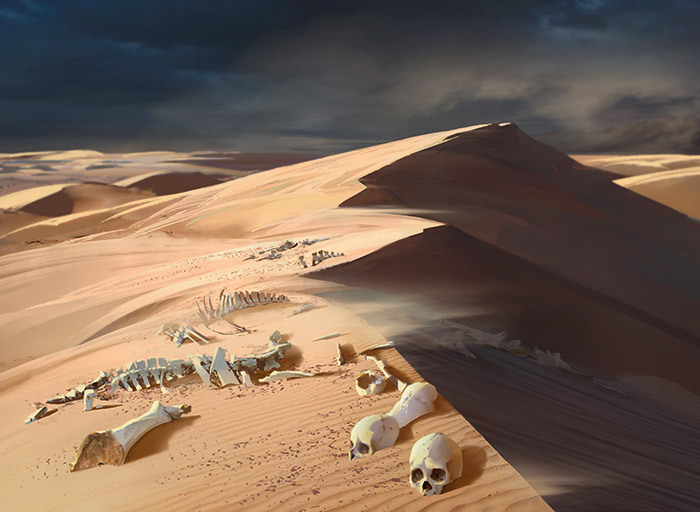 We're 1,280 years in the past now and familiar locations might seem a bit off. It's a feeling you might not be able to shake. The setting is familiar, yes, but traveling back in time reveals a younger world—less torn by war and beaten down by time. 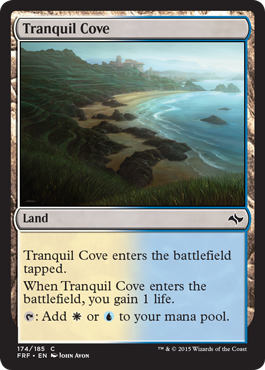 For example, Tranquil Cove looks pretty much the same from a distance. But let's look closer. Enhance. 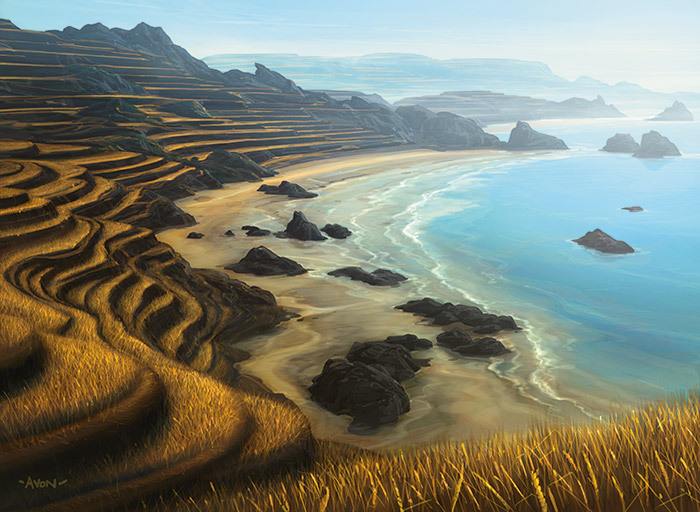 As you can see, the cove used to be lush and green but, over the years, the grass turned brown, died, or retreated. One of the most dramatic differences is on Scoured Barrens. 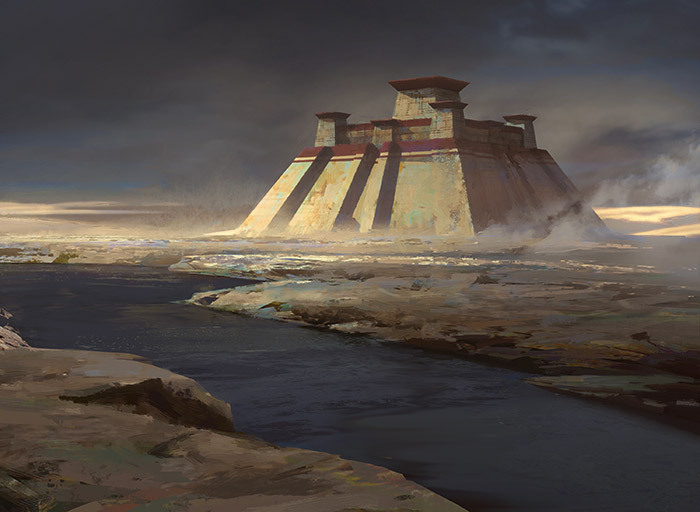 In Khans of Tarkir it was certainly barren. 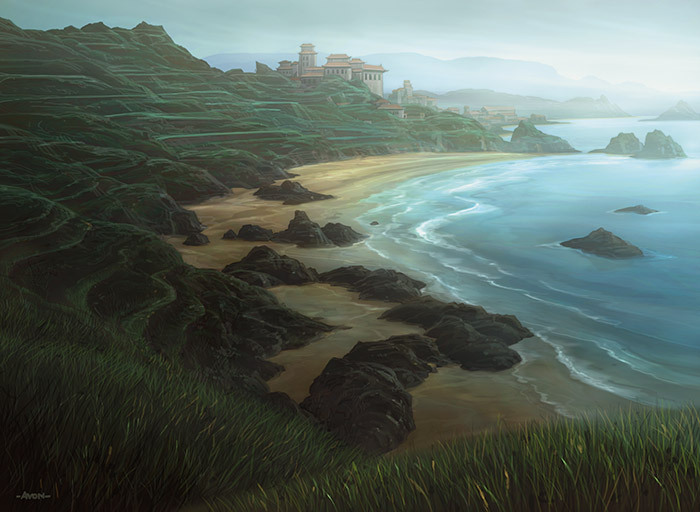 But in the past of Fate Reforged, you can see that an Abzan stronghold once stood where only bones and sand stand thousands of years later. These are just a few of the ways the world is different. There are many more scattered throughout the set, but we thought we'd leave those as an exercise in discovery. 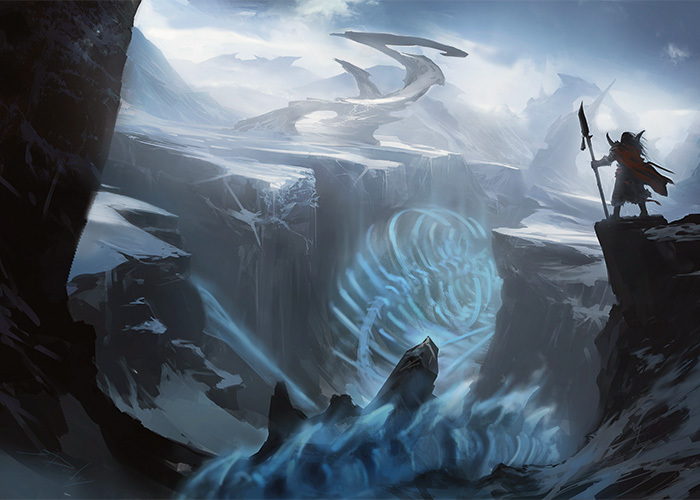 We'll come back to many of the time-shifts later, but as you check out the Fate Reforged Card Image Gallery and play in a Prerelease near you, keep an eye out for many of these touches and see how many you can spot.